Mom's Gone Bronson! : Dinner Time! HEY LOOK! It is time for dinner and I made a tasty hot and sour soup using a swanson soup base stock-in-a-box that I bought this week, fresh veggies, beans, tofu and such and a little sea salt! That is it, in a nut shell! 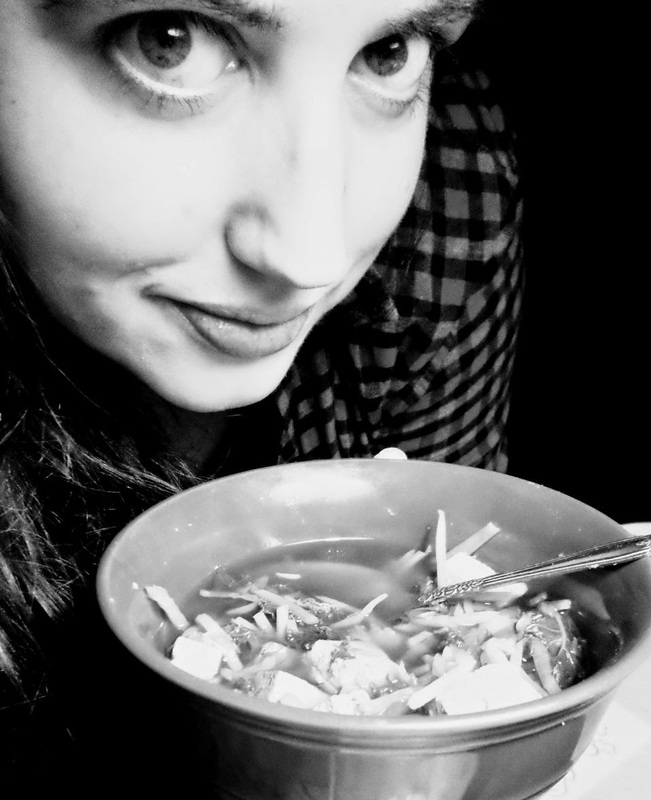 I made it on the stove and now have about a weeks worth of tofu/veggie hot and sour soup!! JOY!! What's for dinner at yours? We went to the grocery store tonight, so everyone ate something quickly before bed. I had cereal. Sometimes cereal is the best dinner!